Mark Winkler is a platinum award winning singer/lyricist who has had over 200 of his songs recorded and/or sung by such artists as Dianne Reeves, Randy Crawford, Liza Minnelli, Bob Dorough, Jackie Ryan, Dee Dee Bridgewater, Lea Di Lauria and Britain’s Claire Martin. Judy Wexler is widely known as a straight-ahead jazz singer and an inspired interpreter of lyrics, who has been cited repeatedly by critics as having the rare ability to find the essential truth of a song. Julie Kelly has established a reputation over the past 30 years as one of the most respected jazz vocalists on the West Coast. 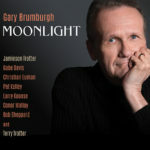 Gary Brumburgh has a long career, performing in musical theater and jazz. This is his first jazz project in several years and will surely put him on the list of todays great jazz vocalists.